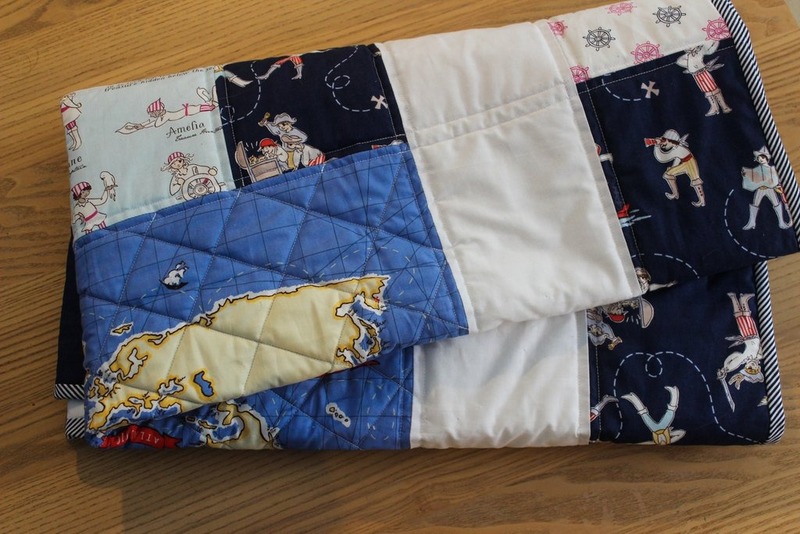 I have decided to enrich my Etsy shop with more baby quilts, and stop producing pouches and other accessories. So for a fresh start a pulled out one of my favorite fabric lines! I designed this panel quilt using paper and pencil…simple and easy. I have been thinking of writing a pattern for it but for now, I will keep on making more baby quilts for the shop. 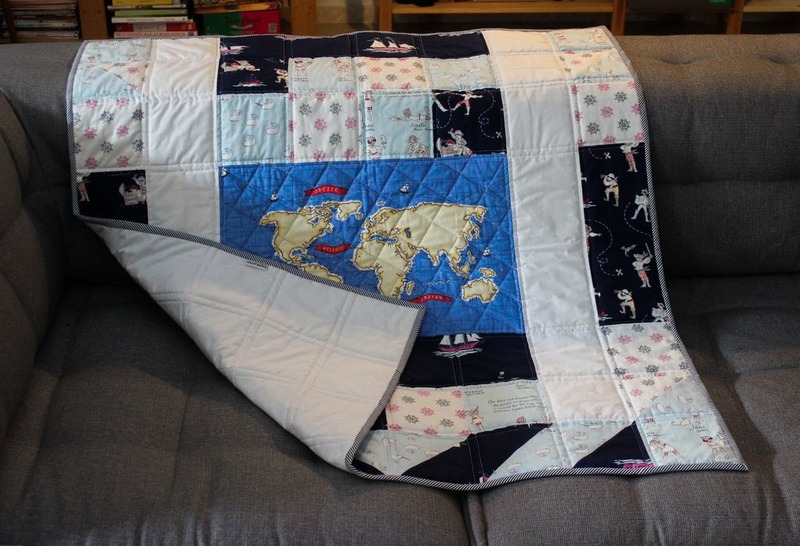 A really fun quilt for a newborn baby boy, to be used as a crib quilt, a playmat or even on the wall as nursery decor. 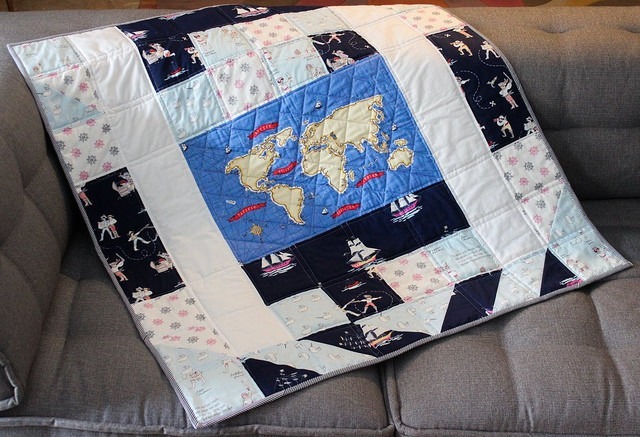 Designed, pieced, quilted and hand-binded by me. This week I published a couple of new blocks at my YouTube Channel. Hop over to meet my channel!! Now it is your turn! Hop over at Freshly Pieced and take a peek on how everyone else is doing. Also linking over to Crazy Mom Quilts for a perfect Finish It Up Friday! 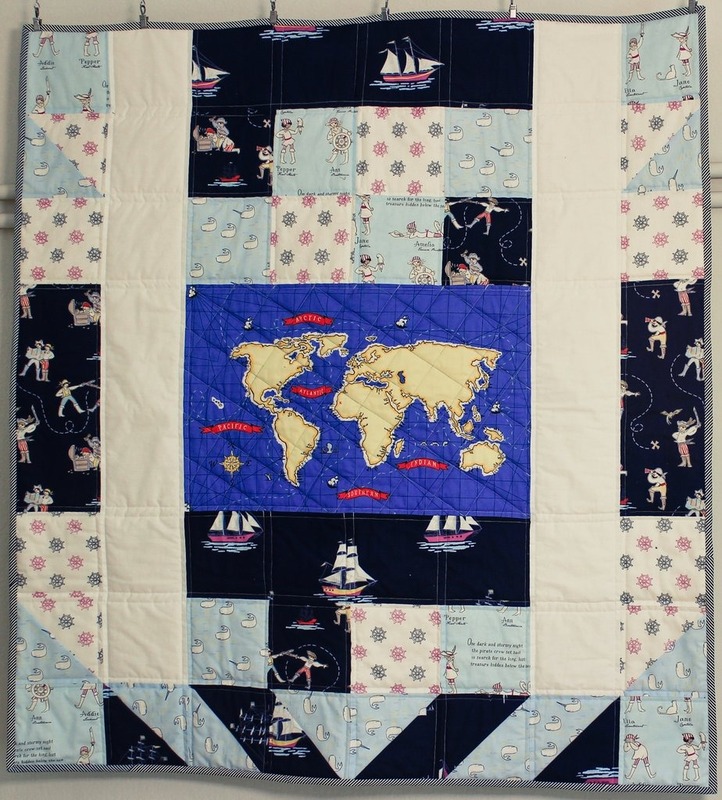 Your Sailor quilt is quite cute. Neat fabric line.